The moat that the Mediterranean forms between Fortress Europe and less fortunate neighborus may become slightly less forbidding, even if the focus will still be to discourage the crossing in ways other than raising the risk of dying at sea. Scrambling to respond to the deaths of up to 700 people on a fishing boat making for Italy from Libya, EU foreign ministers meet today, and government leaders, some of whom are already calling for change, may also gather soon. The speaker of the European Parliament, Martin Schulz, spoke of "shame". And campaigners for refugees said they were encouraged that popular outcry could now bring change, albeit limited by self-interest on a continent fretful over unemployment and terrorist threats. 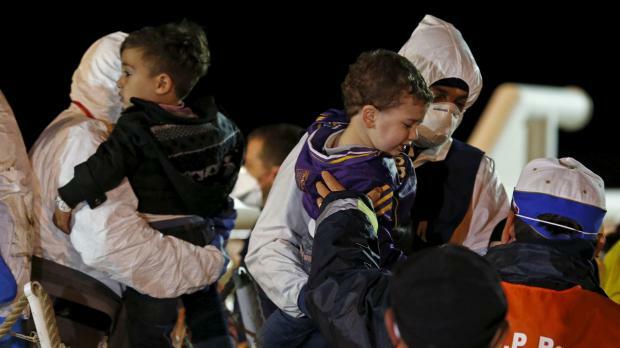 The British government has criticized a limited EU search-and-rescue mission, saying it could draw more migrants out to sea. "We've got to be looking at a program that brings in hundreds of thousands of people," he said. "These camps become independent enclaves, and security issues are a nightmare."